Lueshite: Mineral information, data and localities. Named by A. Safiannikoff in 1959 after the type locality of Lueshe mine, D.R. Congo. This page provides mineralogical data about Lueshite. Space group Pbnm (non-standard setting) (Mitchell et al. 2014). 4.CC.40 Davidite-(Y) (La,Ce,Na,Ca,Pb)(Y,Fe2+,◻)(Fe2+,Mn2+)2(Ti,Fe3+,Nb,Zr)18O38 (hypothetical) Trig. 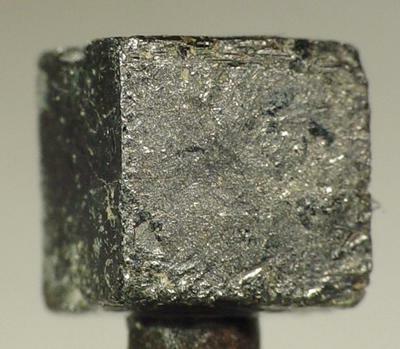 4.CC.40 Mathiasite (K, Ba, Sr)(Zr, Fe)(Mg,Fe)2 (Ti,Cr,Fe)18O38 Trig. 18.1.4 Franconite Na(Nb2O5)(OH) · 3H2O Mon. 18.1.12 Belyankinite Ca1-2(Ti,Nb)5O12 · 9H2O (?) Amor. 18.1.14 Hochelagaite (Ca,Na,Sr)(Nb,Ti,Si,Al)4O11 · 8H2O Mon. 18.1.16 Parabariomicrolite BaTa4O10(OH)2 · 2H2O Trig. Wood, E.A. (1951) Polymorphism in potassium niobate, sodium niobate, and other ABO3 compounds. Acta Crystallographica: 4: 353-362. Vousden, P. (1951) The structure of ferroelectric sodium niobate at room temperature. Acta Crystallographica: 4: 545-551. Fleischer, M. (1961) New mineral names. American Mineralogist: 46: 1004-1004. Solov'ev, S.P., Venevtsev, Y.N., Zhdanov, G.S. (1961) An X-ray study of phase transitions in NaNbO3. Soviet Physics - Crystallography: 6: 171-175.
International Mineralogical Association (1962) International Mineralogical Association: Commission on new minerals and mineral names. Mineralogical Magazine: 33: 260-263. Sakowski-Cowley, A.C., Lukaszewicz, K., Megaw, H.D. (1969) The structure of sodium niobate at room temperature, and the problem of reliability in pseudosymmetric structures. Acta Crystallographica: B25: 851-865. Seidel, P., Hoffmann, W. (1976) Verfeinerung der kristallstruktur von NaNbO3. N. Bestimmung der absoluten konfiguration und des zwillingsgesetzes. Zeitschrift für Kristallographie: 143: 444-459. Mitchell, R.H., Burns, P.C., Knight, K.S., Howard, C.J., Chakhmouradian, A.R. (2014) Observations on the crystal structures of lueshite. Physics and Chemistry of Minerals: 41: 393-401. Mitchell, R.H., Welch, M.D., Chakhmouradian, A.R. (2017) Nomenclature of the perovskite supergroup: A hierarchical system of classification based on crystal structure and composition. Mineralogical Magazine: 81: 411-461. Mitchell, R.H., Kennedy, B.J., Knight, K.S. (2018): The crystal structure of lueshite at 298 K resolved by high-resolution time-of-flight neutron powder diffraction. Physics and Chemistry of Minerals 45, 77-83. The following Lueshite specimens are currently listed for sale on minfind.com. Spandler, C., Morris, C. (2016) Geology and genesis of the Toongi rare metal (Zr, Hf, Nb, Ta, Y and REE) deposit, NSW, Australia, and implications for rare metal mineralization in peralkaline igneous rocks. Contributions to Mineralogy and Petrology 171:104 (24 pages). HORVÁTH, L., PFENNINGER HORVÁTH, E., GAULT, R.A., and TARASSOFF, P. (1998) Mineralogy of the Saint Amable sill, Varennes and Saint Amable, Québec, Canada. 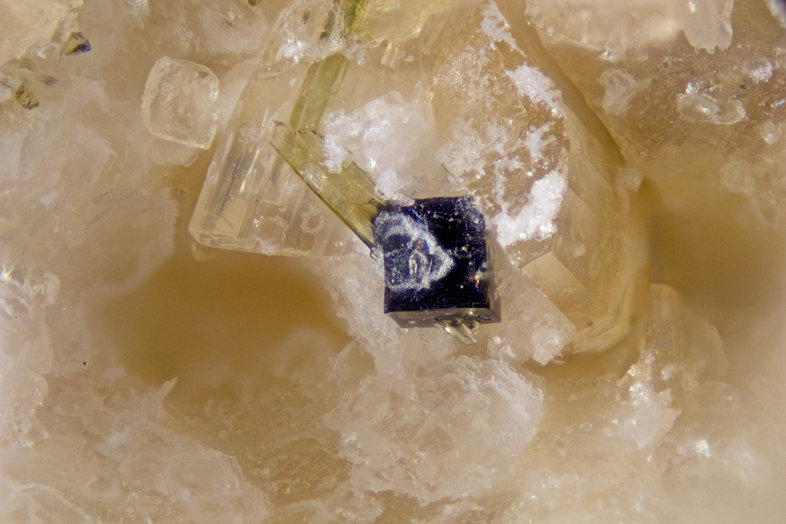 Mineralogical Record, 29, 83 118. Horváth, L., Pfenninger-Horváth, E., Gault, R. A., & Tarassoff, P. (1998): Mineralogy of the Saint-Amable Sill, Varennes and Saint-Amable, Québec. 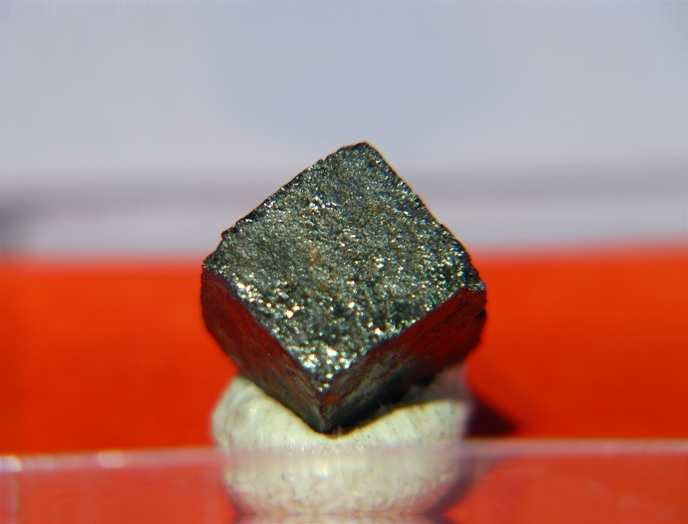 Mineralogical Record, 29: 83-118. Sørensen, H. (1962): On the occurence of Steenstrupine in the Ilimaussaq massif, southwest Greenland. Meddelelser om Grønland. 167. Reitzels Forlag København. 251 p.
Gehad M. Saleh (2007) Rare-Metal Pegmatites from the Southeastern Desert, Egypt: Geology, Geochemistry, and Petrogenesis. International Geology Review Vol. 49:824-843. Chakhmouradian A.R., Zaitsev A.N. (1999): Calcite–amphibole–clinopyroxene rock from the Afrikanda complex, Kola Peninsula, Russia: mineralogy and a possible link to carbonatites. I. Oxide minerals. - Canadian Mineralogist, Vol.37,pp. 177-198. PEKOV, I.V. & NIKOLAEV, A.P. (2013) Minerals of the pegmatites and hydrothermal assemblages of the Koashva deposit (Khibiny, Kola Peninsula, Russia). Mineralogical Almanac 189(2), 7-65. Mikhailova, J. A., Kalashnikov, A. O., Sokharev, V. A., Pakhomovsky, Y. A., Konopleva, N. G., Yakovenchuk, V. N., ... & Ivanyuk, G. Y. (2016). 3D mineralogical mapping of the Kovdor phoscorite–carbonatite complex (Russia). Mineralium Deposita, 51(1), 131-149.